Wilma Mankiller was the first woman elected principal chief of the Cherokee Nation. She works to improve the lives of Native Americans by helping them receive better education and health care and urges them to preserve and take pride in their traditions. Wilma Mankiller was born in Tahlequah, Oklahoma, the capital of the Cherokee Nation, on November 18, 1945. Her father was Charlie Mankiller, a Cherokee, and her mother was Irene Mankiller, who was of Dutch-Irish ancestry. Wilma has four sisters and six brothers. Her great-grandfather was one of the more than sixteen thousand Native Americans and African slaves who were ordered by President Andrew Jackson (1767–1845) to walk from their former homes in the Southeast to new "Indian territory" in Oklahoma in the 1830s. The harsh weather, hunger, disease, and abuse from U.S. soldiers that the walkers experienced on what came to be called the Trail of Tears led to the deaths of at least four thousand of them. members of my family. No show of force was used. It was not necessary. Nevertheless, the United States government, through the Bureau of Indian Affairs, was again trying to settle the 'Indian problem' by removal. I learned through this ordeal about the fear and anguish that occur when you give up your home, your community, and everything you have ever known to move far away to a strange place. I cried for days, not unlike the children who had stumbled down the Trail of Tears so many years before. I wept tears … tears from my history, from my tribe's past. They were Cherokee tears." Mankiller finished high school and took a job as a clerk. She met and married Hector Hugo Olaya de Bardi in 1963, and they had two daughters. Wilma settled into the role of wife and mother. This was a time when there were many political and social movements taking place across America. In 1969 her life was changed. San Francisco State student and Mohawk Richard Oakes (1942–1972), along with other Native Americans of different tribes, occupied an abandoned prison on Alcatraz island in the San Francisco Bay to call attention to the mistreatment of Native Americans by the U.S. government. The invasion was seen as a historic event by many Native American people, Mankiller included. "When Alcatraz occurred, I became aware of what needed to be done to let the rest of the world know that Indians had rights, too. Alcatraz articulated [expressed] my own feelings about being an Indian," Mankiller stated in her autobiography. She began a commitment to serve the Native American people to the best of her ability in the area of law and legal defense. In addition to wanting to help her people, Mankiller began to desire independence, and she began taking courses at a community college and later at San Francisco State. This caused a conflict with her marriage. "Once I began to become more independent, more active with school and in the community, it became increasingly difficult to keep my marriage together. Before that, Hugo had viewed me as someone he had rescued from a very bad life," she noted in her autobiography. In 1974 she was divorced and became a single head of the household. In 1971 Mankiller's father died from a kidney disease in San Francisco, which she said "tore through my spirit like a blade of lightning." The family took Charlie Mankiller home to Oklahoma for burial, and then Wilma Mankiller returned to California. It was not long before she too had kidney problems, inherited from her father. Her early kidney problems could be treated, though eventually she had to have a transplant. Her brother Donald became her "hero" by donating one of his kidneys so that she could live. In 1976 Mankiller returned to Oklahoma for good. She found a job as a community coordinator in the Cherokee tribal headquarters and enrolled in graduate courses at the University of Arkansas in Fayetteville. This required her to drive a long distance every day. She was returning home one morning in 1979 when a car approached her on a blind curve and, out of nowhere, another car attempted to pass it. She swerved to miss the approaching car but failed. The vehicles collided almost head-on. Mankiller was seriously injured, and many thought she would not survive. The driver of the other automobile did not. It turned out to be Sherry Morris, Mankiller's best friend. Mankiller had to overcome both her physical injuries and the guilt she experienced after the accident. Then in 1980 she came down with myasthenia gravis, a muscle disease. Again her life was threatened, but her will to live and her determination to heal her body with the power of her mind prevailed. In 1983 Ross Swimmer (1943–), then principal chief of the Cherokee Nation of Oklahoma, asked Mankiller to be his deputy chief in the election. While campaigning she was surprised by the criticism she received—not for her stand on any particular issue, but simply because she was a woman. Swimmer and Mankiller won the election and took office in August. On December 5, 1985, Swimmer was nominated to head the Bureau of Indian Affairs in Washington, D.C. Mankiller was sworn in to replace him as principal chief of the Cherokee Nation. She focused on education and health care, overseeing the construction of new schools, job-training centers, and health clinics. Mankiller overcame many tragedies to become a guiding power for the Cherokee people of Oklahoma and a symbol of achievement for women everywhere. Throughout her life, Mankiller has managed to not complain about how bad things were for herself, for her people, and for Native Americans in general. She instead has worked to help make life better. Although she declined to seek another term as principal chief in 1995 for health reasons, she remains in the public eye, writing and giving lectures across the country. She has stressed that if all the Native Americans who were eligible to vote actually did so, officials elected with those votes would be forced to address the problems of Native Americans. She also has called for an end to the increasing problem of violence against women. Mankiller was inducted into the Women's Hall of Fame in New York City in 1994 and was given a Presidential Medal of Freedom by then-president Bill Clinton (1946–) in 1998. Kucharczyk, Emily Rose. Wilma Mankiller. Woodbridge, CT: Blackbirch Press, 2002. Mankiller, Wilma, and Michael Wallis. Mankiller: A Chief and Her People. New York: St. Martin's Press, 1993. 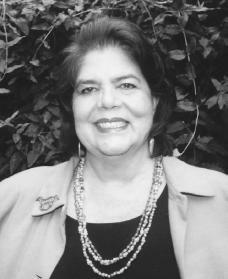 Yannuzzi, Della A. Wilma Mankiller: Leader of the Cherokee Nation. Hillside, NJ: Enslow Publishers, 1994.
i love this biography because it shows such determination and ambition to do what she knew was right. she is a role model for every person and every race. wilma mankiller is a aspiring role model for every indian (native american) boy and girl. Not just a great Native American leader, a great American leader. I picked up a copy of The Economist at a cafe in Denmark the other day, and saw Wilma's obituary. I'm glad I saw that, and glad she was recognized outside her own country. She overcame adversity and prejudice to achieve great things. An inspiration to all.